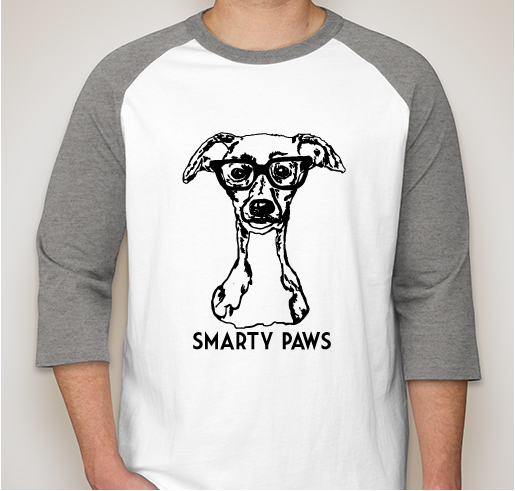 Back to School with Smarty Paws! 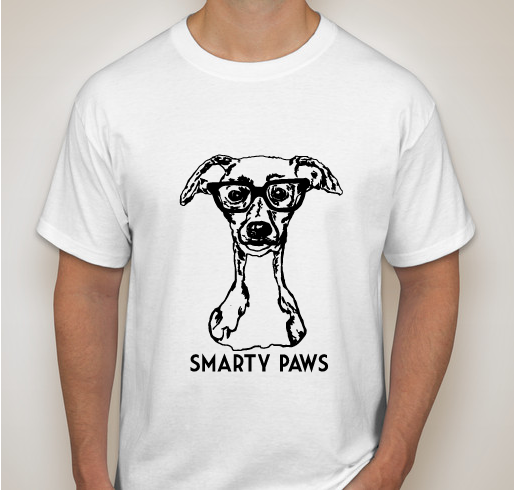 Buy your kids a shirt for back to school. 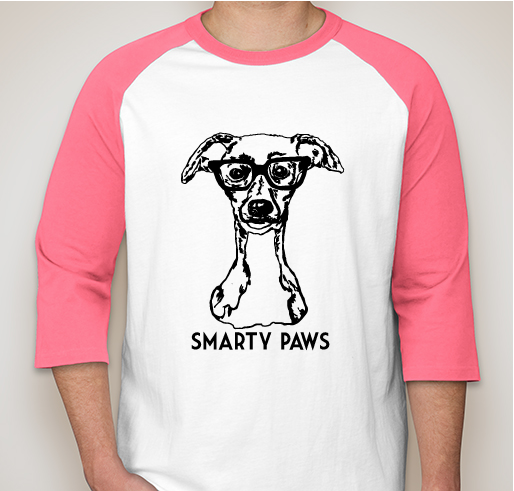 Heck, buy a few for yourself. How cute is this? All funds raised will go directly to Hazeljanes Blessings LTD .
Our friend and supporter Ashley created this little guy. We decided to make a kid friendly shirt, and a less specific one, for all to enjoy. 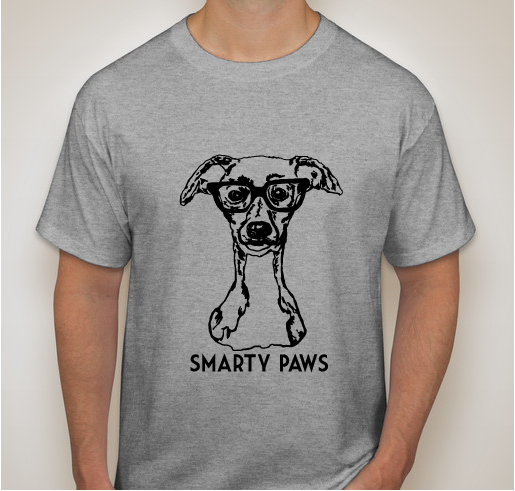 Many shirts available from youthXS to 3X in adults. Its been an expensive summer for Hazeljane's. Without many adoptions. We have a number of seniors in our care who have needed vet care, as well as a little girl who needed completely new ear canals. 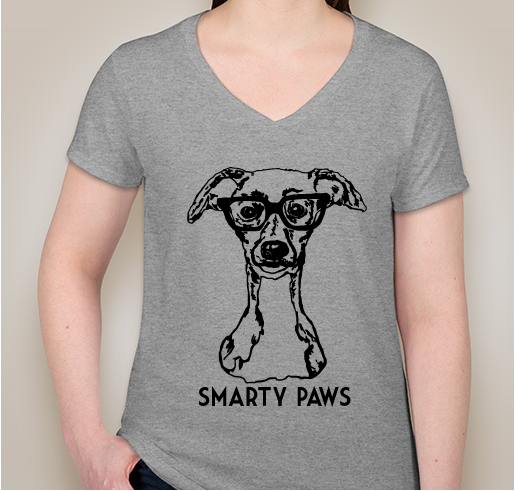 This fundraiser is helping us get dogs into new foster homes, and supporting their ongoing needs. Hazeljane's Blessings is a small Italian Greyhound (and Mixes thereof) rescue based primarily in Oklahoma and Pennsylvania. We take in many dogs that would fall through the cracks otherwise. Elderly, mill dogs, mixed breeds, in need of vet care. Our supporters help us pay the vet bills. We are an all volunteer charity. Every cent of what we take in is spent on the dogs in our care. The biggest expenses are vet bills, medications, including heart worm preventive and flea/tick, and food. Donations are tax deductible. We adopted 2 dogs from HazelJanes. 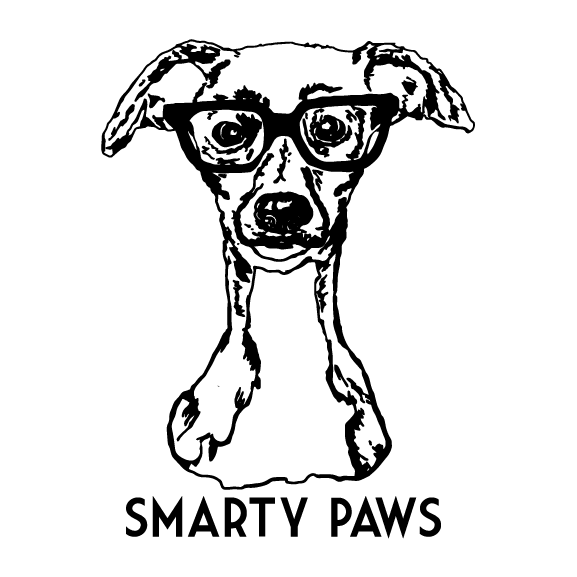 Share Why You Support "Back to School with Smarty Paws!"